Oil has surged 30-40% this year amid a tightening market. Chinese data showed exports rebounded last month, driving U.S. and euro zone bond yields to three-week highs. Brent crude is set for its third weekly gain, while WTI is set for its sixth. Brent crude oil futures rose 72 cents, or 1% to $71.55 per barrel, ending the week 1.7% higher, their third weekly gain in a row. 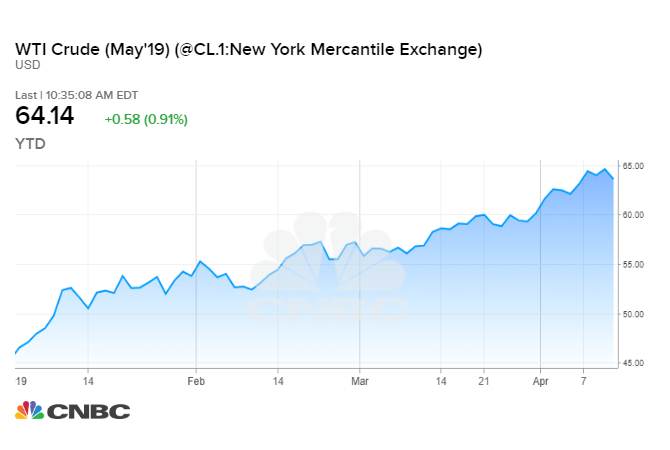 "We see Brent and WTI prices averaging $75 per barrel and $67 per barrel respectively through the rest of this year, but risk is asymmetrically skewed to the upside," RBC Capital Markets said in a research note. The producer group's supply cuts have been aimed largely at offsetting record crude production out of the United States. U.S. drillers added 2 rigs in the latest week, bringing the national count to 833 rigs, oilfield services firm Baker Hughes reported on Friday.